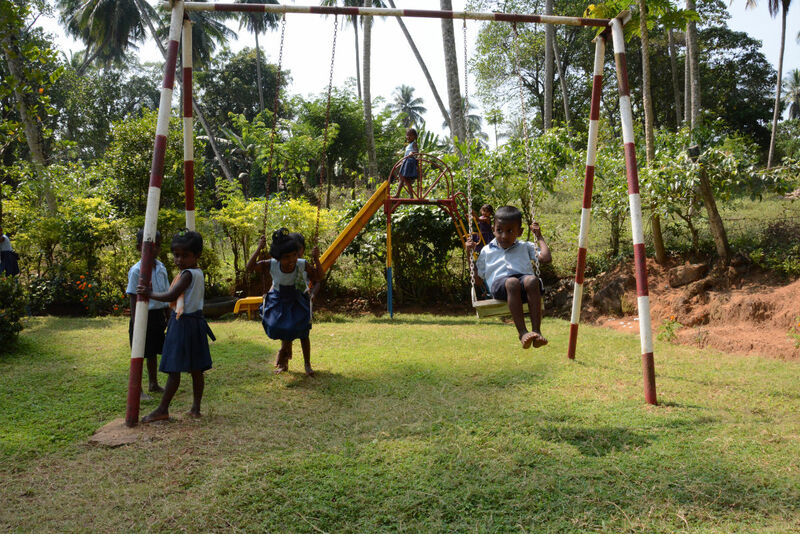 Thanks to Fair Trade premiums, small kids on the Eila rubber plantations have more joy playing now. 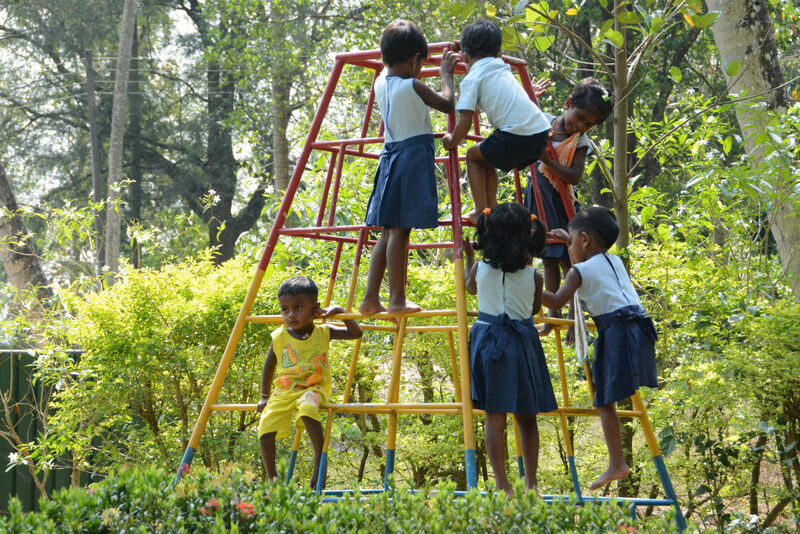 The Fair Trade comitee has money for the renovation of the nursery, the room of the playing group has been painted newly and colourful, new playing material has been bought and outside there are climbing scaffolds, swings and a seesaw. Not only the kids are happy. 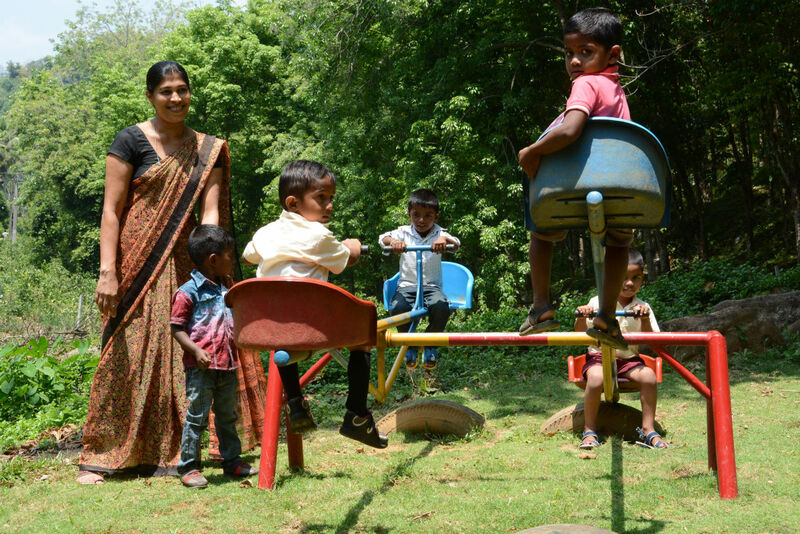 Sasia Kala is one of the kindergarten teachers and she enjoys her job more again. 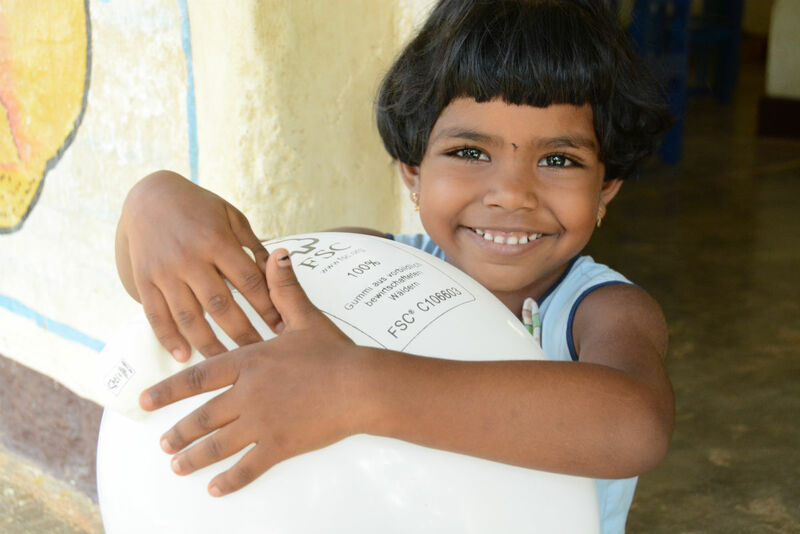 The 25-year old was born in Eila und is trained as a Montessori teacher, a method, which is popular especially among the well-off parents in Sri Lanka who send their kids to private kindergarten. "Before the renovation, it looked terrible here" Kala says, "now, we can work with colors, dance and music and the children really learn something, assigning to categories, counting and rhythmics. 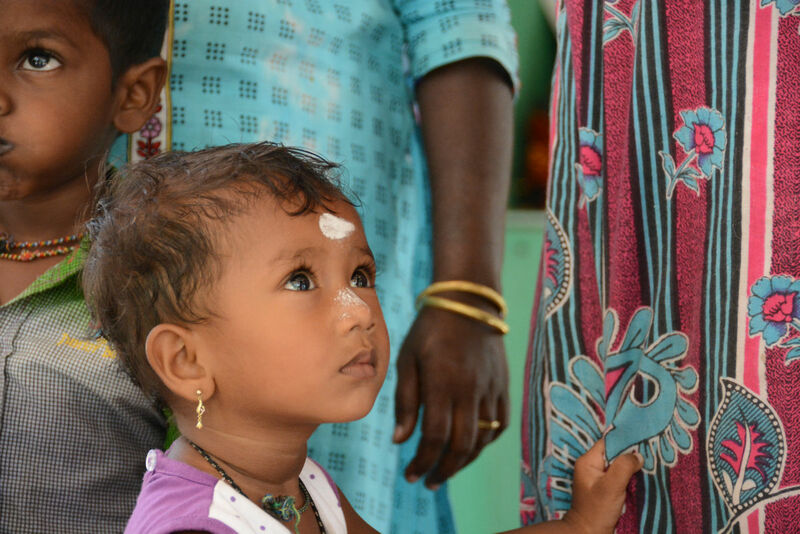 Both kindergarten teachers also observe the physical development of the kids: Height and weight are regularly recorded. Ans the Fair Trade commitee has designed a roster, so that on every day a different familiy is responsible to cook for the 15 kids in the newly set-up kitchen.